…Or you could let potential customers slip away. YOU are the best at what you do. That is why your website should clearly communicate why you are the best. I follow a proven framework that is designed to quickly build trust with your potential customers so that YOU get their business. Anyone can build a website. Few can craft the story of your brand. There are many different ways you can spend your marketing budget. But what is going to actually bring the most new customers to your business? Many Bend Oregon businesses purchase TV or radio ads, or purchase a space in the Smart Shopper coupon book. These forms of advertising all have the same format. They broadcast your business to very large audiences; a small percentage of which are actually interested in your service. The price you pay is based on the size of the audience it reaches. What if you could develop a marketing strategy to reach those that are actually looking to hire someone in the service you provide? Welcome to the world of Digital Marketing! 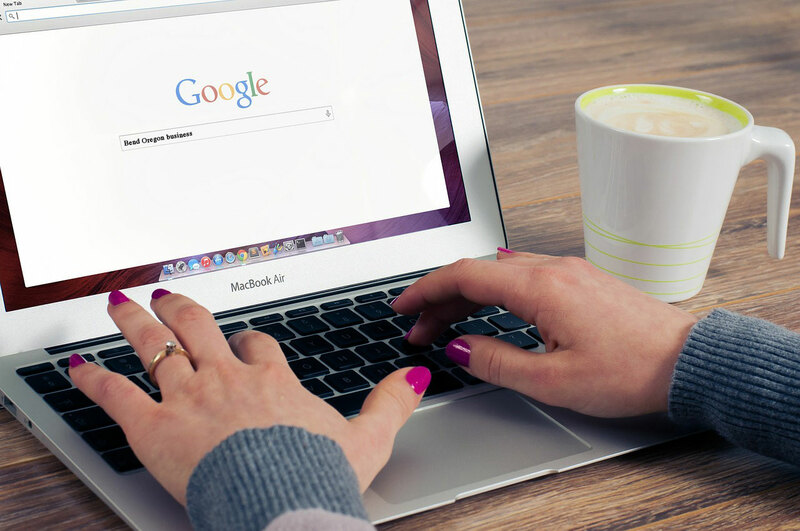 If someone needs legal advice, and they live in Bend Oregon, they are going to go to Google and search, “Attorney in Bend Oregon.” Google will give them several options, and typically they will choose one of the websites in the top of the search results. At 9 Design, we help our clients dominate the search results. Since we help our clients take 3-4 of the positions on the first page of Google, they are getting a majority of the search traffic sent to their website. The business with the most clicks, gets the most phone calls. We have found that this marketing strategy is the best use of your marketing budget because it involves targeting ‘ready-to-hire’ customers. So how do we do it? I am an expert at designing professional, eye catching websites that convert! I know that people have a very short online attention span, so we need to grab their attention quickly, and get them to act right away. But what good is a beautiful website if no one sees it? This is why I go the extra mile with Search Engine Optimization (SEO), and design websites that rank at the top of the Google search results, giving your business prime online real estate that will bring new customers to your business day after day. I produce professional videos for businesses in Bend Oregon and around the country, that tell a story about the business. These videos are extremely effective at building trust with your potential customers turning them into lifelong customers. Consumers want to try before they buy, and video is such an amazing way to show them your business before they purchase. In addition, video brings an element of professionalism that stands out because the chances are pretty good that your competitors are not using video as a part of their marketing strategy. But wait, there’s more! Just like with websites, I also rank the videos I produce, so they also appear at the top of Google search. So now you have a website, and a video, taking up two of the front page search results. Want 3 of the top Google spots? Keep reading! Whenever you do a local search in Google for a service based business, Google reserves 3 map listings at the top that is populated by your Google+ business page. Since there are only 3 spots available, these are very competitive, and I help businesses rank there as well. Sure, there are several web design companies in Bend. But do they offer a comprehensive strategy that includes video to help you dominate the first page search results? Give me a call today! I offer a free 10 minute consultation, and would love to talk to you about the best way to market your business on the internet. P.S. I understand there are many business owners that like to DIY. Be sure to check out my marketing training blog that has many how-to videos for how to build a WordPress website, and video marketing. And if you click the social share buttons below, you will get a free PDF download of some helpful video marketing steps.